The Hurricanes football team’s defense has just taken a huge blow. Senior linebacker Jermaine Grace and redshirt junior defensive end Al-Quadin Muhammad are both no longer on the team. According to the Palm Beach Post, both players missed parts of practice on Thursday due to an NCAA investigation dealing with their use of luxury rental cars. 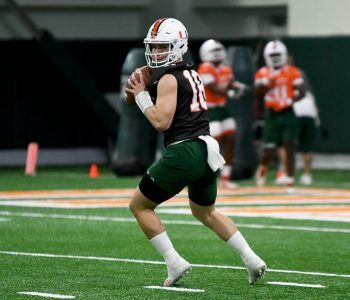 Grace and Muhammad were expected to anchor the Miami defense that has many inexperienced freshmen on the roster this season. Grace led the Canes in tackles with 79, and Muhammed contributed five sacks and eight-and-a-half tackles for loss last season, leading the team in both areas. 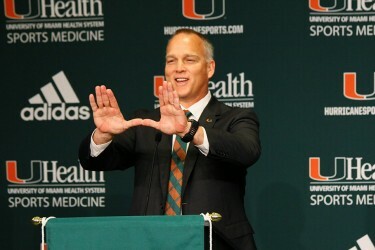 The team will obviously take on the “next man up” mentality to fill the shoes of the lost defensive players. Defensive Coordinator Manny Diaz has his work cut out for him to find the right replacements.